I've taken a number of abstract images over the years many of them have a water-based origin. Some of them were quite striking and took on an 'oily' appearance. 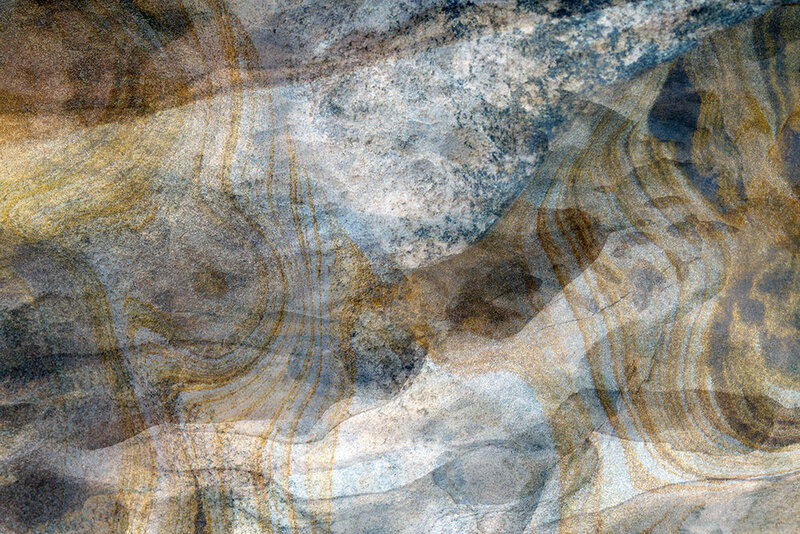 Somehow, I got to fooling around with a number of abstracts of a stream nearby combined with a few others. I'm pretty happy with the 'look' as I didn't really want the final image to be recognizable, at least not easily - a feature that gives the abstract image its appeal. Anyway, during the process of combining layers I discarded a couple of contenders as they rendered the final look either too static or detracted from the colour balance I was looking for. While maybe not a Picasso, it keeps my imagination fed. Older PostHe cut a sad figure on a misty day..